I’ve been finding all kinds of babies in my garden and as of last February, a new baby grandson in my family. 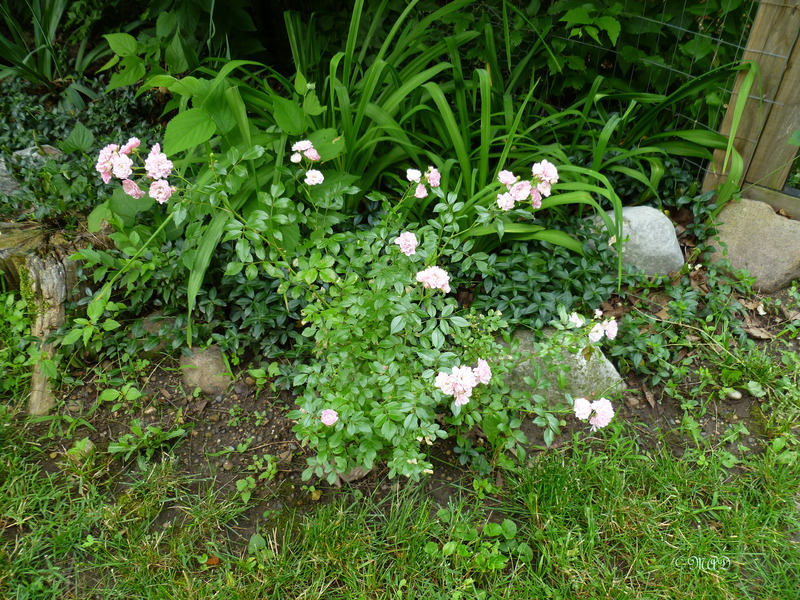 Baby rosebushes, aka ‘the Fairy’ – I brought the mother rose bush with me when I moved here several years ago and last year, she had two baby bushes that I transplanted out. 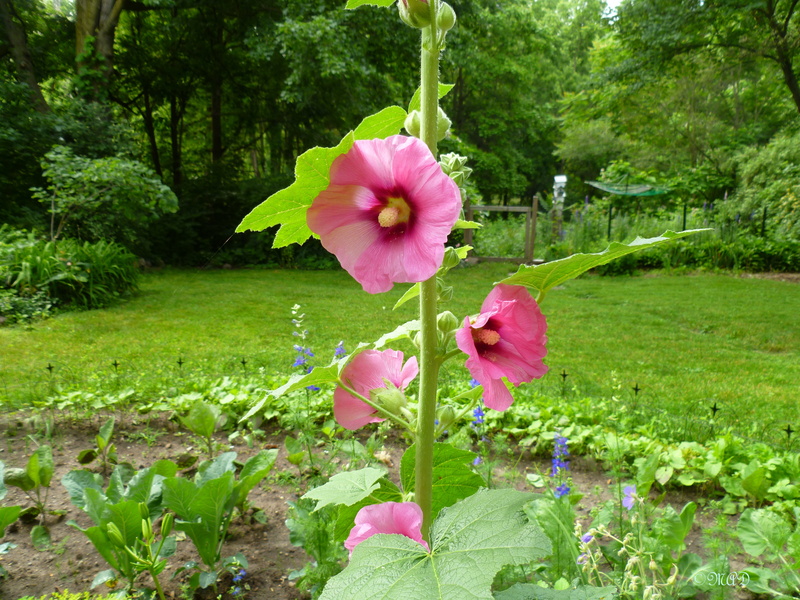 Baby hollyhocks – I’ve finally got them established, blooming and thriving! 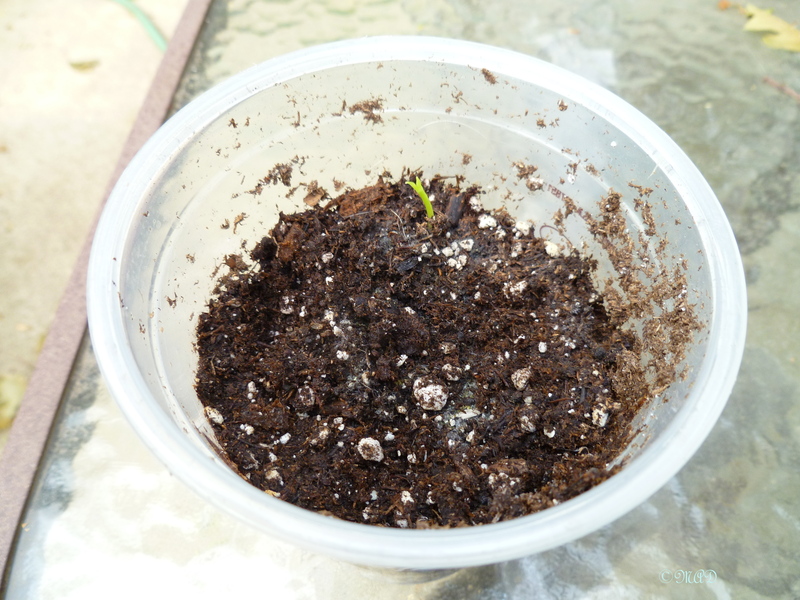 Baby kiwi plant – I read from several other blogs, about growing kiwis from seed after eating them. So, after several failed attempts, I took a sort of rotty mushy kiwi, broke it open and stuffed into the soil in a pot and promptly forgot about it until yesterday morning. Lo, and behold …. it grew! Baby doves, ahem, again ….. 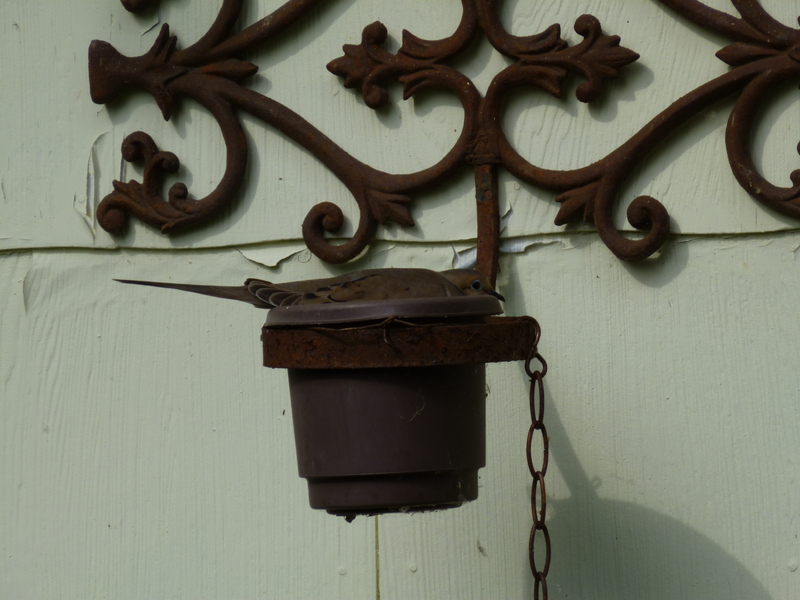 Yes, there she is again – Mrs. Dove has returned to raise a second round of youngsters. So far, they haven’t hatched. Stay tuned …. This entry was posted in Gardening and tagged 'the Fairy' rosebush, babies, baby doves, hollyhocks, kiwi, nature. Bookmark the permalink. It will be interesting to watch the kiwi grow – no pressure of course 😉 !